The loft is a perfect adult retreat*. 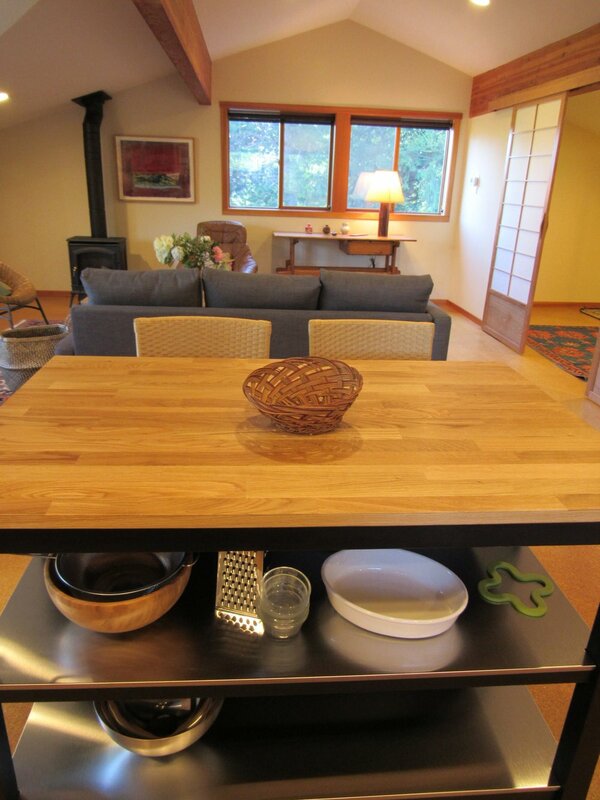 Newly renovated with windows on three sides of the space let in beautiful light and enhance the treehouse-like views. This space can sleep up to 4 people in a luxurious queen-sized bed and a very comfortable fold out couch. The studio is heated with a gas fireplace and features a newly installed full kitchen with bar/island and comfortable dining area. A shared washer and dryer is available for your use. 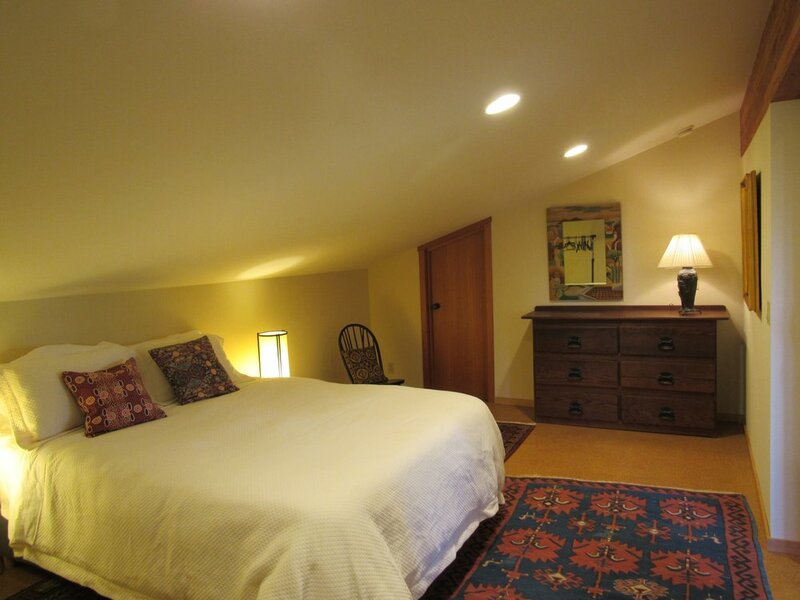 The loft can be rented alone or with our cottage to make room for a large family. Incredible ambience on our beautiful farm. Peace, quiet, privacy. *For safety, any children must be over the age of ten to stay in the loft.